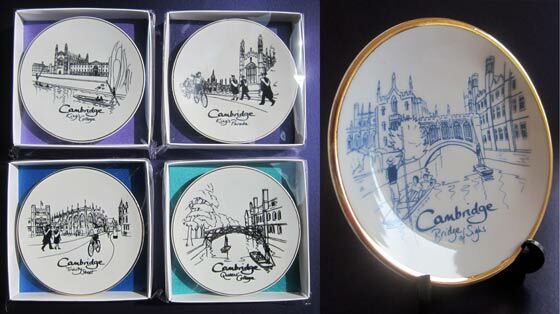 These ceramic plates measure 4" (10cm) in diameter and come loose or in a white box and include a plastic plate stand. There is a choice of 5 designs in both black and dark blue. The designs are: King's College, King's Parade, the Bridge of Sighs, the Mathematical Bridge at Queens' College and Trinity Street.